First interview with one of the participants in yesterday's Dublin Distance Fiesta's hot 3200m. race. 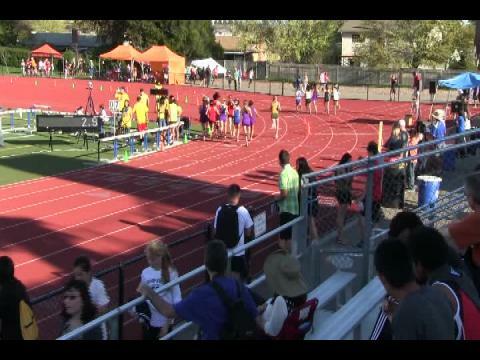 Blair Hurlock of De La Salle HS finished right behind race winner Fred Huxham of Redwood HS in a near PR of 9:11.83 which just misses his state meet effort from last season (9:11.47). 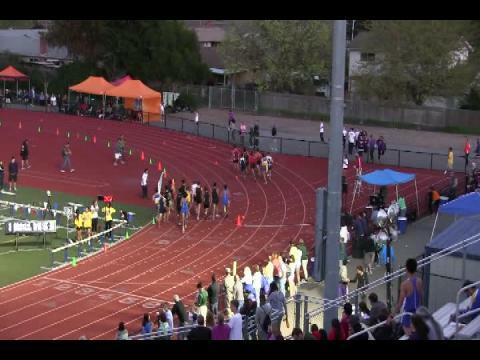 He finished in 2nd place at the Dan Gabor Invitational 800m. 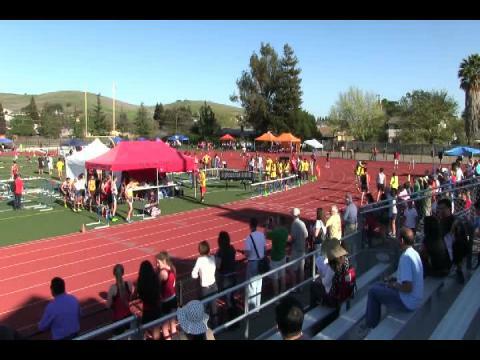 with a time of 1:58.67 after winning a very strategic 1600m. in 4:24.20. Hurlock has already committed to Stanford University. 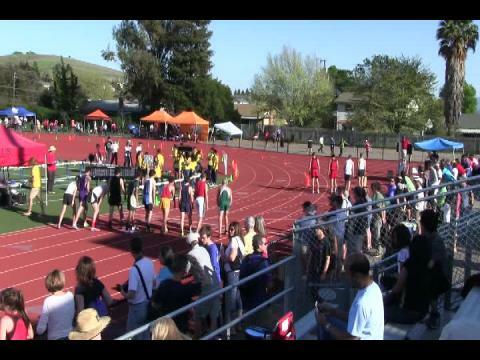 Dublin Distance Fiesta meet director Chris Williams (center in photo) was able to field one of the most competitive Northern California 3200m. races in recent memory. With the first 5 runners all surpassing the previous meet record of Garrett Rowe (9:22..07), the race more than lived up to the hype. The winner may have been a surprise to some but Fred Huxham (far right) has put together quite a resume in his 3 plus years of high school racing. He is a 2-time All-NorCal XC selection. He finished in 2nd place as a junior and senior in the NCS XC Division III and went on to finish in 3rd place (2012) and 4th place (2013) at the CA state XC meet. 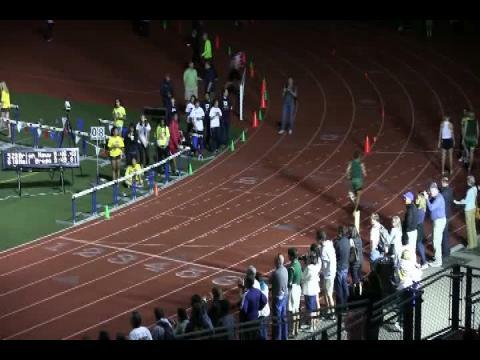 He ran 4:15.63 at Mt. 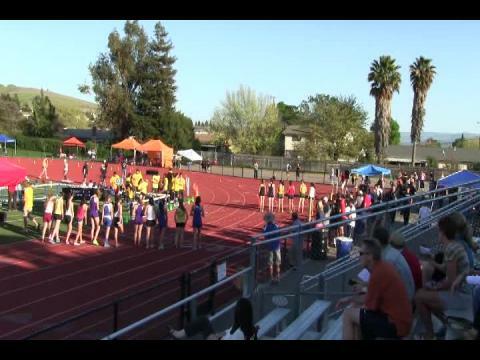 SAC in a full mile last year and finished in 3rd place at the Stanford Invitational 3k. Fred got the season rolling this year with a 4:14.38 indoor mile at the University of Washington Open. Following his victory last night at the DDF, here are Fred's reflections of his race. 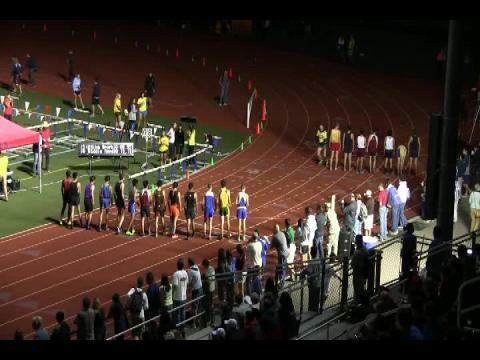 PRESS RELEASE: Dublin Distance Fiesta Boys 3200 to be a barn burner! Who else wants in?! 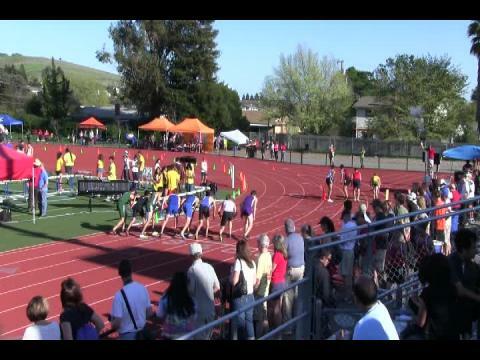 Commitments so far (in alphabetical order): Gabe Arias-Sheridan - St. Joseph Notre Dame - Defending DDF Champion, 4th @ 2013 NCS Meet of Champions Aidan Goltra - Campolindo - 2nd @ 2013 NCS Meet of Champions, 2-time Defending D2 Cross Country State Champion Blair Hurlock - De La Salle - 3rd @ 2013 NCS Meet of Champions, Foot Locker National Finalist Fred Huxham - Redwood - 4:14 indoor mile already in 2014, D3 Cross Country State Medalist Cameron Tu - Alameda - 7th @ 2013 NCS Meet of Champions, D2 Cross Country State Medalist Entries are due this Saturday, March 8. Please go to http://www.dublincrosscountry.com/Dublin_Distance_Fiesta/Dublin_Distance_Fiesta.html for more information. We hope to see you there! 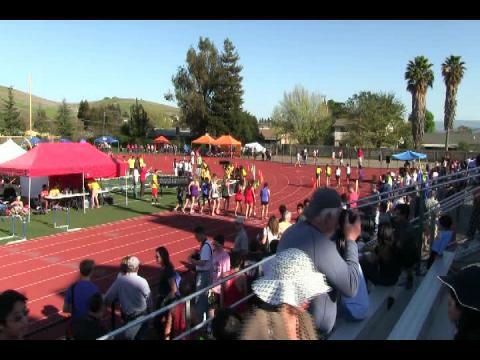 Hello Coaches, We are very excited to announce that we have nearly 1500 student athletes and over 50 high schools competing at this year's version of the Dublin Distance Fiesta! This is up from our previous records of 1100 and 43, respectively. Here are the heat sheet for the Dublin Distance Fiesta to be held on March 15, 2014. 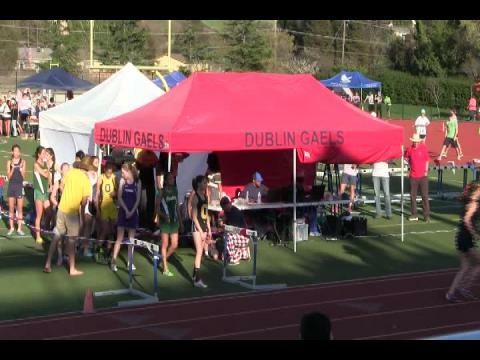 Welcome to the 2014 Dublin Distance Fiesta! For those of you who are returning to this event, you need no introduction to the magic of the day. 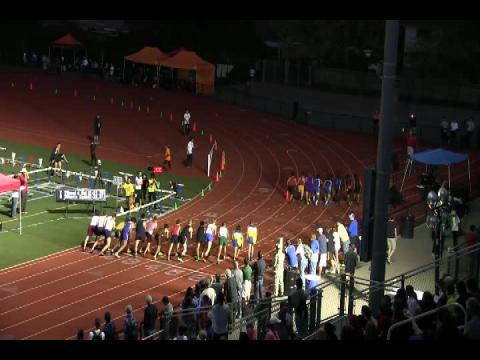 For those of you who are newcomers, you are in for a fantastic, first rate, distance running extravaganza!